LOL you made me smile. I love the school ones. .-= Melitsa of Play Activities´s last blog ..Fun reading and writing practice =-. 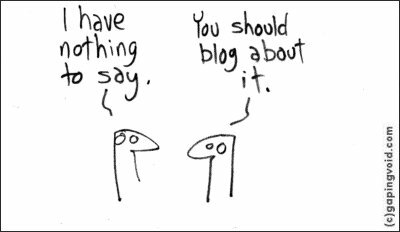 .-= Annette´s last blog ..Anxiety Strikes Again =-. 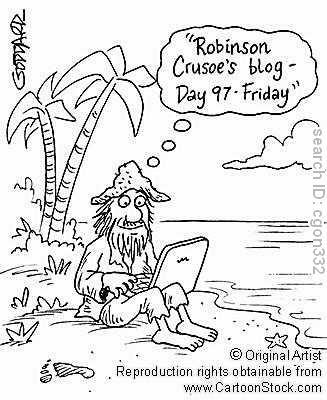 .-= Mary Lutz´s last blog ..Monday Motivation Breakthrough Session: Uncluttering =-. 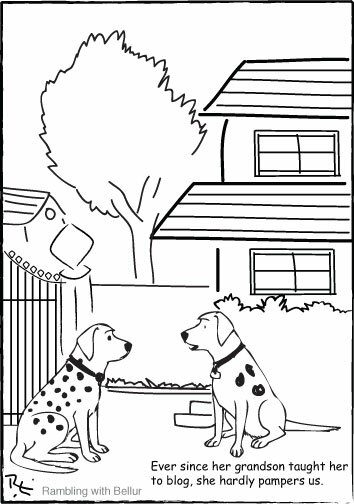 My favorite cartoon is the second one…funny! .-= Felicia – I Complete Me´s last blog ..The Sexavation Series =-. Ooh I love the monkeys and the kids. Nos 1 and 4 totally take the cake though. No. 1 hints to the future. 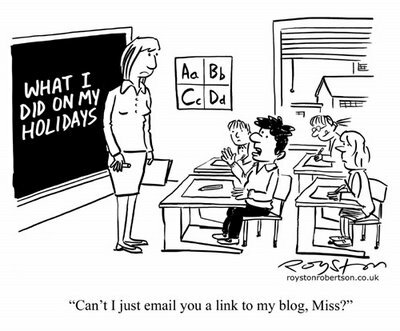 HW will soon be about emailing a link I bet and No. 4 highlights how antisocial we can become as a consequence of the modern forms of communication. 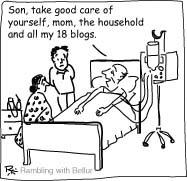 .-= Daille´s last blog ..What Would Dexter Do? =-. 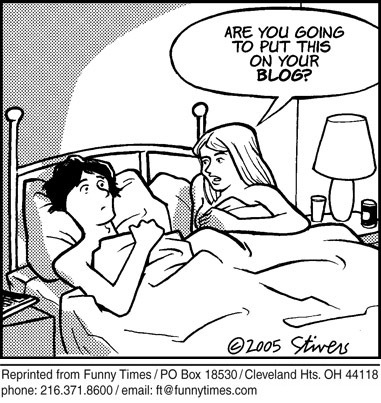 I think my favorite is the man and woman in bed and she asks if he is gonna blog it. 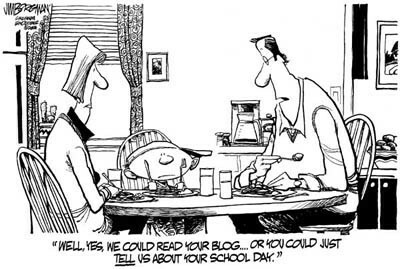 My kids ask me that question everytime I get my camera out! .-= char´s last blog ..I am now ready to be the keeper of my home =-. .-= tuesday´s last blog ..Fighting Acne =-. wow, all of them r wonderful cartoon. I luv it.